Restaurant owners posed for a picutre outside of the restaurant. Opening a restaurant is never easy, and if you are making history while doing it it is even harder. 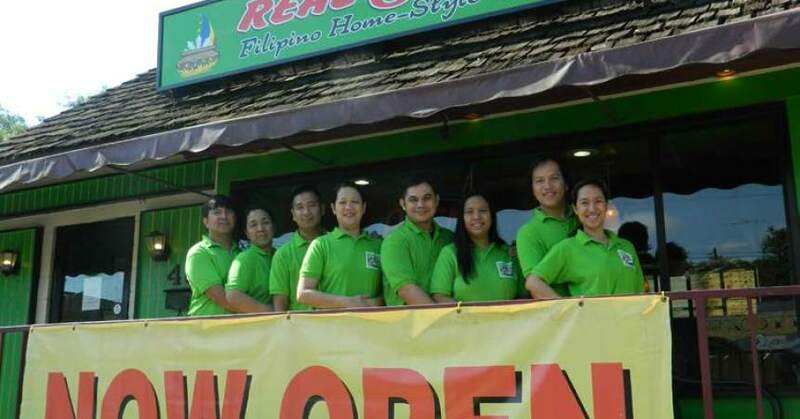 As what is believed to be the first Filipino restaurant in Tallahassee, Real Sarap: Filipino Home-style Cooking is now in the spotlight as a representation of the Filipino culture. “All eyes are on us right now, but we prepared for this,” said co-owner Mary Jane Banes-Egina. Real Sarap is the realization of four couples who bonded together over their love of food and their culture. Mary Jane Banes-Egina and Eric Egina, Nerissa Vitug and Josephrally Vitug, Nerissa Santillana and Ruben Macatangay, and Alice Macalacad and Edsel Macalacad are the owners. The four wives met while on the job as full-time nurses at Tallahassee Memorial Hospital. It was there that they began to bond over their mutual passion for food and love of their Filipino culture. They began to seriously consider the idea of a restaurant after cooking at small cultural festivals around the city and receiving such positive feedback. Despite all of the owners having jobs outside of the restaurant industry they say their focus and determination will make this business work. “Every day is a new challenge for us, but as long as you are focused and have our goals in mind you can make it through the day,” Santillana said. 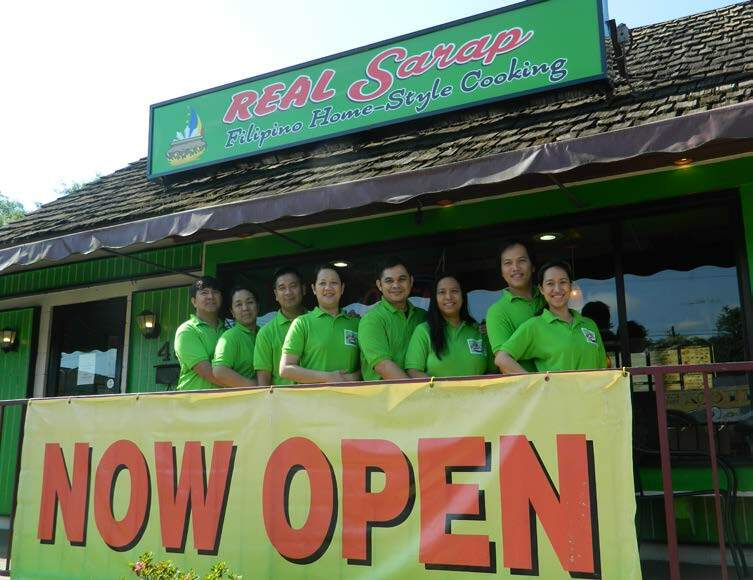 Real Sarap, located at 435 W. Tennessee St., is bringing a taste of the Philippines to Tallahassee with a unique blend of menu items each owner helped to create. “We all had a desire to give to Tallahassee through our passion for cooking and also to give to the growing Filipino community here,” Santillana said. “We love cooking and we take pride in our hospitality; it is in our culture to help and care for others and our food is our way of doing that,” Nerissa Vitug said. Being the first can often come with great pressure but this family and friend-run business is confident it will persevere. 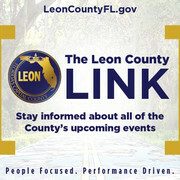 Restaurant hours are Tuesday-Saturday 10a.m.-8 p.m. and Sunday noon-6 p.m. The men of Real Sarap are constantly hard at work, as well as they are the ones who are there full-time every day . “The men are the muscle; they are doing the hardest jobs here,” Nerissa Vitug said. The goal of any restaurant is to be successful, but these ladies have proudly taken on an extra level of responsibility for the future of Real Sarap. In just a month of being open for business Real Sarap has gotten nothing but positive feedback from the community and the owners hope it will only go up from here. The women emphasize they hope to give that taste of home to those Filipinos who may be homesick and continue to proudly represent their culture through their food. “We aim to remain consistent and passionate while never ceasing to be innovative,” Banes-Egina said.